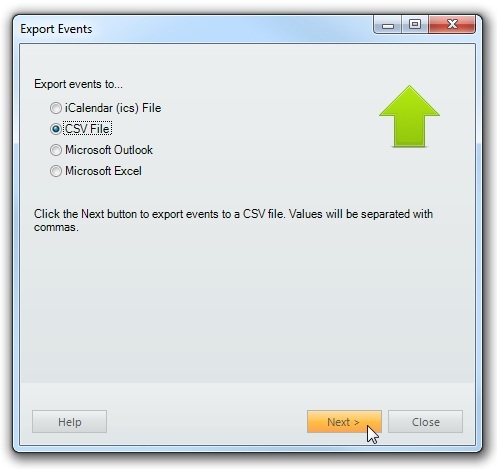 VueMinder can export one or more calendars to a CSV (comma separated value) file. 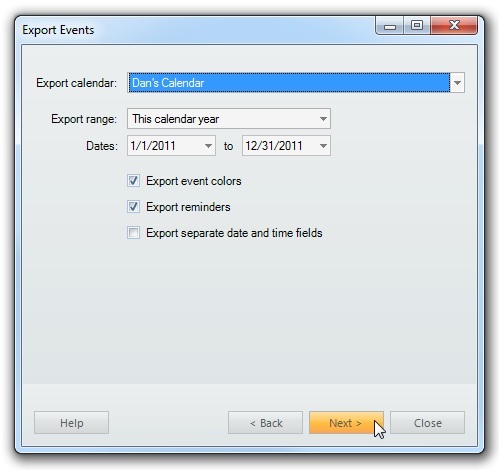 Check the "Export event colors" box to include event color and appearance fields in the output. The CSV file is plain text and won't show colors, but you could import the CSV file into VueMinder on another computer and see the same colors get imported. 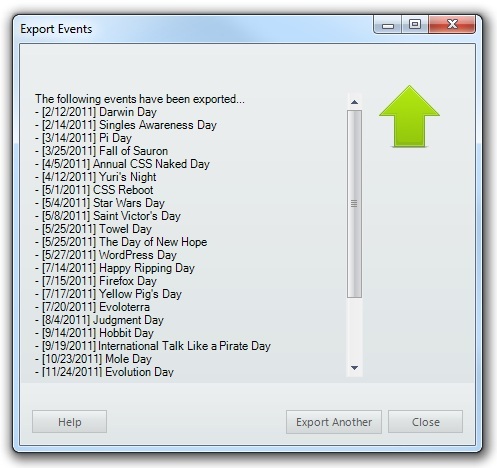 By default, dates and times will be exported to the same fields (example: "7/6/2011 8:00 AM"). 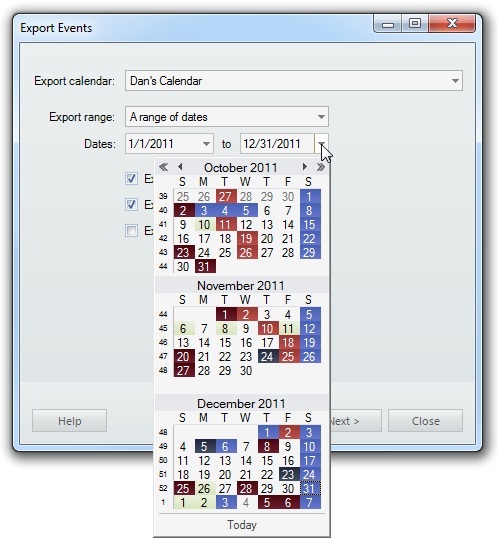 If you prefer the dates to be in fields separate from the times, check the box labeled "Export separate date and time fields".